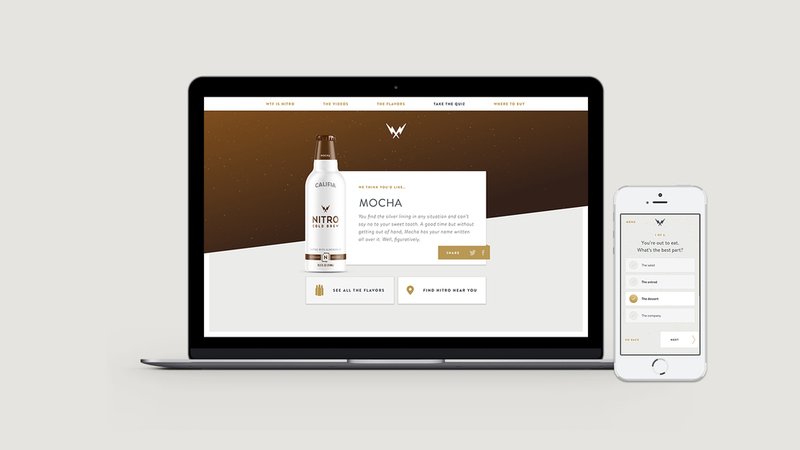 I led the interactive design effort for Califia's new Nitro Cold Brew coffee. After some initial research, I sketched out a layout for internal review. Working in this style helps me stay loose and not start designing too early. Once this was approved internally, I created a more polished version to share with the client. I knew that I wanted the site to have a complementary look and feel to the sleek, modern bottle. With this in mind, I jumped right in to visual options, exploring how to create and engaging, immersive answer to the question 'What is Nitro?'. Following the microsite creative, I also designed multimedia banners to drive to the site. I enjoy these opportunities to carry a visual message over into more constraining spaces. 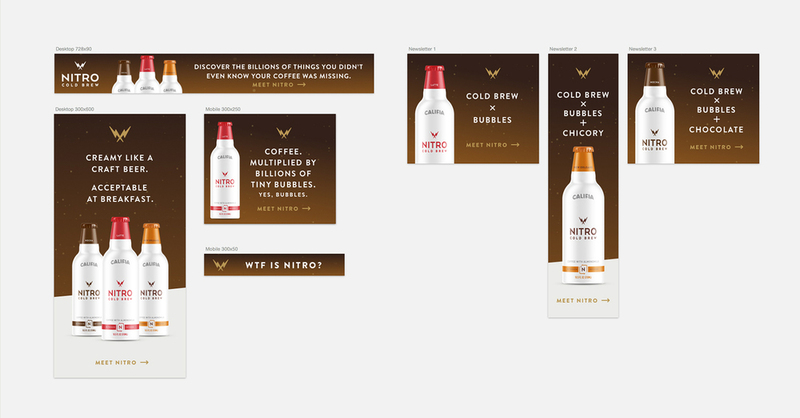 As part of the web launch, we created an interactive quiz that allowed a user to answer simple questions to determine what Nitro flavor they might like the best. Since the launch of wtfisnitro.com, the site has netted over 20,000 unique page views leading to over 23 million impressions across paid social tactics.